Yes, the synths are there and frontperson Emily Haines has keyboards galore, but too often the band is shortchanged when it comes to the rest of their sound. At San Francisco’s Masonic Theater last week, Joshua Winstead’s bass was so loud it seemed possible that the soundman had a heart attack and collapsed on the mixing board. Guitarist Jeremy Shaw was crunching out riffs like his life depended on it and the drums never seemed to stop. It was a full-on dance party from start to finish. Throughout the night, it seemed like the band had something to prove, and in a way, maybe they do. Metric has never gotten its proper due. They’re great in the studio, a killer live band and in the form of Haines, they have a frontperson so perfect it’s as if someone assembled her out of spare parts from Blondie, Gwen Stefani and Pat Benatar. Haines is a live wire bounding all over the stage, somehow singing and dancing without losing her breath. Sure they have hits, a solid fanbase and a pretty hectic touring schedule, but you can’t help but feel they deserve more, and it’s safe to say they’ve earned it. Very few indie bands from the early ’00s are still around, let alone putting out quality material. Haines has only grown as a writer and the band has grown with her, further developing their sound on every album. Their latest “Art of Doubt” had a few bangers that slid easily next to their earlier hits. “Dressed to Suppress” and “Dead Disco” were a perfect one-two combo while their Scott Pilgrim soundtrack contribution, “Black Sheep,” had the entire floor bouncing up and down. While it was reassuring to see such a good sized crowd mouthing along to the lyrics, you can’t help but feel that someone dropped the ball somewhere and this show should have happened in an arena. At the same time, most fans consider themselves lucky that their best-kept secret is still safe, for now. Art of Doubt is out now. 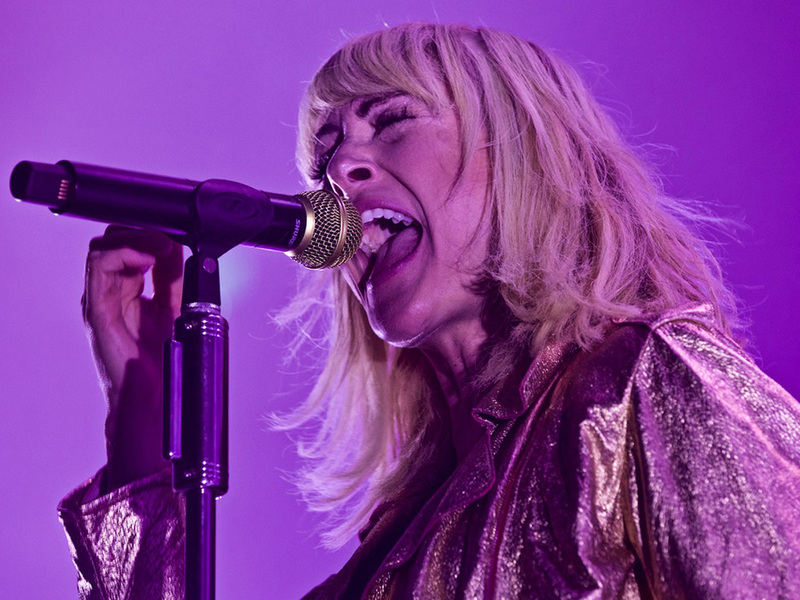 Metric is on tour now and through the summer.